In our Ebook ‘What Do The Police Have On You‘ we reveal 17 types of personal data that the police could be storing and processing in your name. 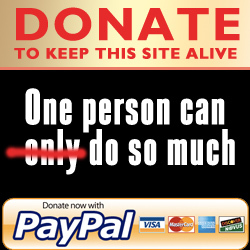 Much of which you may not know exists… Some of which may be used to your detriment…. All of which you have a right to see a copy of through the subject access provisions of the Data Protection Act. Firstly, to form a written record of all incidents to which the police have been called (including any action taken). Secondly, to refresh an officer’s memory if required to give evidence in court. If the police have made an entry in their notebook that refers to you – your address, name, vehicle, contact phone number etc. – then you’re entitled to see what they’ve written. Police notebooks are NOT the personal property of individual officers. When the end of a notebook is reached it is handed back to the force that issued it and stored within an archive. Usually these notebooks are retained for up to 10 years, sometimes indefinitely. 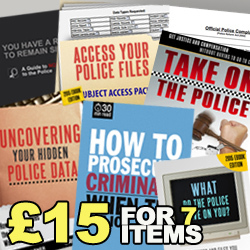 Obtaining a copy of entries in a policeman’s notebook could be vital if you’re thinking of making an official complaint against the police or if you believe that a false account has been entered into one. 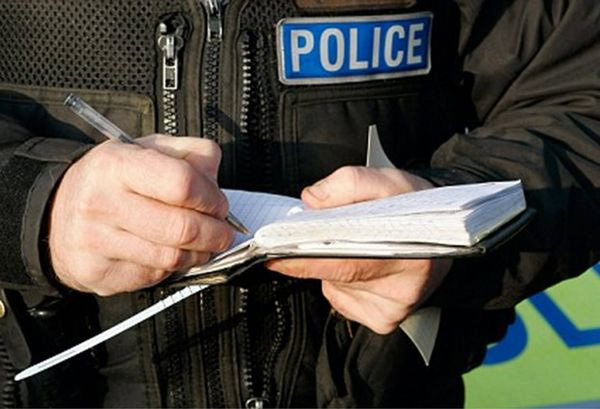 It is police policy that all records of occurrences entered into a notebook must be comprehensive, accurate, credible, and made at the time – or as soon as practicable – after the incident occurs. This includes detailed rules on how the police should correct mistakes. No erasures: The police must not erase entries in their report book by any means, including Tippex, rubbing out or scribbling out. If an officer realises that he has written the wrong words then he can cross them out, but only so that the original crossed out words can be read. This correction must then be initialed. No leaves torn out: Under no circumstances must an officer remove, tear out or alter leaves of any report book. It must remain intact exactly as it was manufactured. No blank spaces: The police must never write up an account and leave a huge blank space, whereby they can add a little more ‘detail’ later. 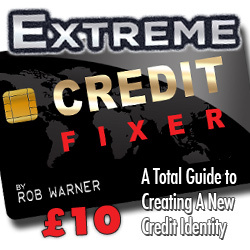 This includes blank spaces between words, lines or at the end of lines.No overwriting: Overwriting to alter or correct any word, letter or number is forbidden. No writing between lines: A police officer must never write between lines of writing. There should be only one line of writing on each line of a report book page. Record all conversation in direct speech: If an officer recounts a conversation then he must write it up as he remembers it being said. He mustn’t ‘censor’ the speech, correct it, put it in his own words or modify it. 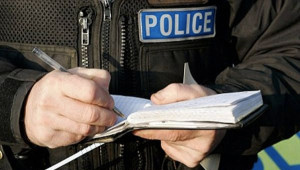 It’s fair to say that the police do not like to give up their notebooks readily for public scrutiny and will often go to great lengths to hide as much as they can. This usually means placing slips of paper over the sensitive entires before they are photocopied. In official parlance this is known as redacting. But don’t panic as this is perfectly lawful and applies to all data that is not the ‘focus’ of the person requesting it. One page of an officer’s notebook may contain personal data about many different people, and by law the police must not reveal that information to anyone else. Remember, under subject access you can only request information that relates to yourself, not others. However, if you have good cause to believe that the police have unfairly redacted information, then you can make an appeal to have it revealed. 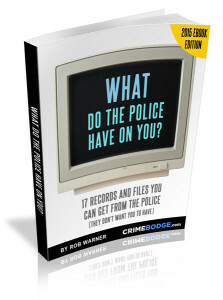 ‘WHAT DO THE POLICE HAVE ON YOU’ reveals in depth all the different types of data that the police collect and process. Records, notes, files, computer data, personal identifiers. 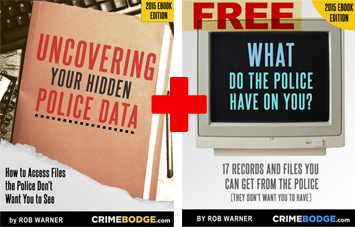 You will be amazed at just how much data the police store and you can obtain, what the information is used for and how it can be used against you. …And most importantly – where this data is excessive, out-dated or just plain wrong you have a right to demand it be amended or even deleted. 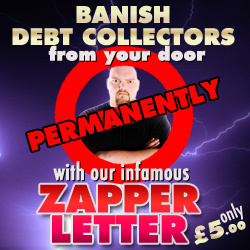 If you have had any dealings whatsoever with the police in the past 6 years then we would urge you to find out what information they are processing in your name. Right now, among the multitude of paper files and hard drives that the police maintain, your details are being processed. 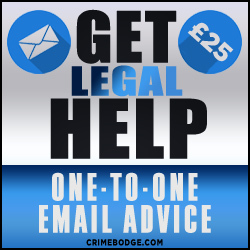 Left unchecked, that information could damage your chances of employment, be used as an excuse to investigate you or be forwarded onto any one of the numerous government agencies the police share their data with. 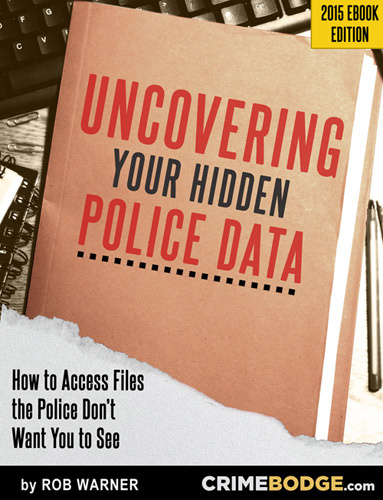 Download it now for just £3.50 and you will also receive a free copy of “What Do the Police Have on You?”, a detailed guide of all the different types of personal data the police may be storing against your name.